Do you like pizza? What are your favourite sweets? If you could only drink one beverage (excluding water) ever again, what would it be? Do you drink tea or tisanes in the evening? Breakfast in bed or dining? 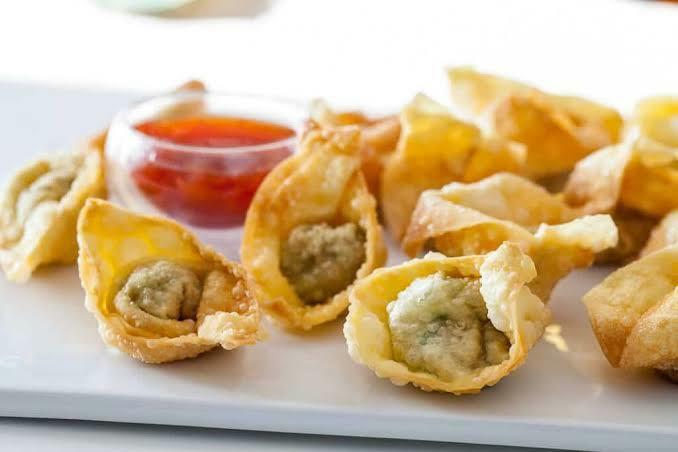 Yes, but definitely NOT the deep-fried Wontons American Chinese cuisine seem to favor. Those have way too much oil for my liking. In China, and any Chinese communities outside China, steamed/non-fried Wontons are where it's at. They're usually enjoyed in either a broth or in noodle soup. It's like Chinese comfort food and it's a great food to eat if you're sick or just for a quick snack. Yes, actually, they are delicious, but I don't eat them because they are fattening and full of pork. I make vegan Teryaki wontons and they are delicious! They are OK. I certainly wouldn't go out of my way to eat them. Oh THAT'S what those things are called? Yes, but I like Two tons even better. 10 Music Artists/Bands Have Taken Over My Playlist Laurie's, ADULT'S ONLY, list of your favorite sexual fetishes and kinks! 10 Benefits to Why a Girl Shall Stay Virgin Until Marriage! We need to stop being silent about violence towards healthcare workers What It's Really Like to Be an "Ugly Woman"
Home > Food & Beverage > Do you like wontons?